Augmented Reality has been proven to increase engagement, attract new audiences, create empathy, reduce errors, enhance brand awareness and increase safety. 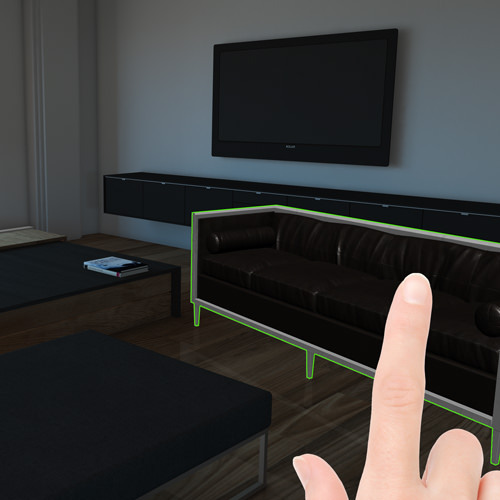 Connecting the digital and physical world has never been more exciting with the current trends in AR. Our clients dare to dream big and some of the projects we’ve developed have included an interactive game for Vodafone to attract graduate recruits and a promotional marketing campaign in conjunction with the hit film Pacific Rim. AR is effectively overlaying fictional content onto of the real world in a way that makes it appear as though it is part of the real world. Using computer vision we can create mobile AR apps which can recognise virtually any printed image and attach virtual content to those images. Picture scanning a photograph in a magazine to have it turn into a video or scanning a billboard to have the images come to life. New technology such as Apple’s AR Kit and Google’s AR Core allow us to put virtual content into the real world in an entirely new way. Without the need for any triggering images, apps using this technology read your surroundings and use the real world as a canvas for placing 3d content. Using GPS data we can attach experiences to locations. Advanced mapping technology combined with sophisticated AR technology allows us to combine event tech, AR and pedestrian traffic management.